Vocalist - Bass, Rhythm Guitar, Lead Guitar, Background Singer, Steel guitar. 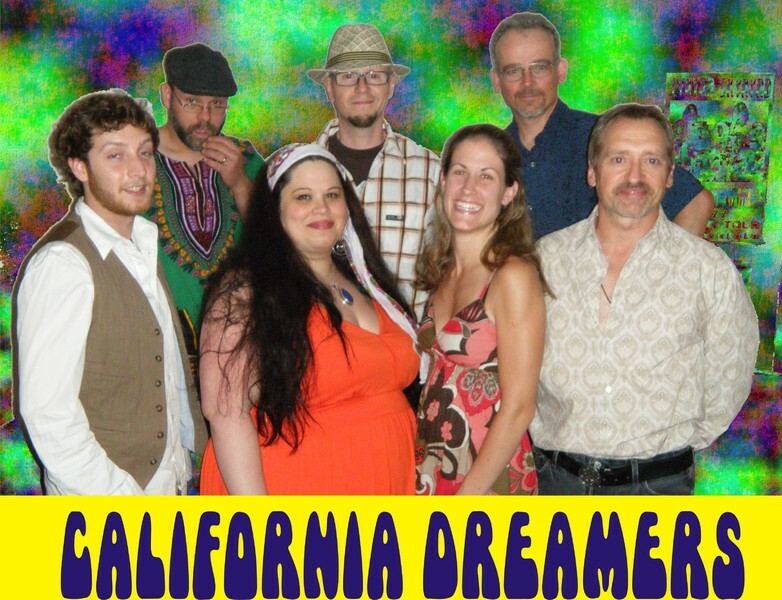 California Dreamers are a dynamic, 7-piece band re-creating the music of the Mamas and the Papas and the late 60's 'Flower Power' generation. Their family-friendly show is comprised of Mamas and Papas' catalog of great music plus hits by The Hollies, The Byrds, the Zombies, The Association and other late 60's icons. 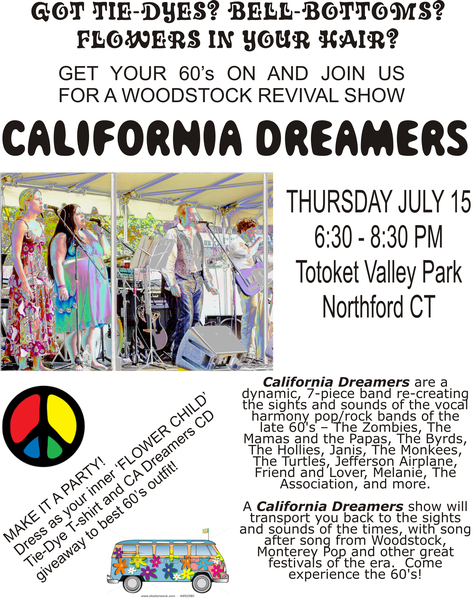 More than solely a Mamas and Papas tribute, California Dreamers offer the best of the vocal harmony pop/rock bands of the late 60's – The Zombies, The Byrds, The Hollies, Janis, The Monkees, The Turtles, Jefferson Airplane, Friend and Lover, Melanie, The Association, and more. California Dreamers is one of the few groups in the US capable of delivering a credible tribute to this great music. We are always looking to meet great singers/players to bring into rotation in the band for busy times and subbing. If you're excited about this project and interested, please send MP3's, pics if you have them and we'll take it from there.